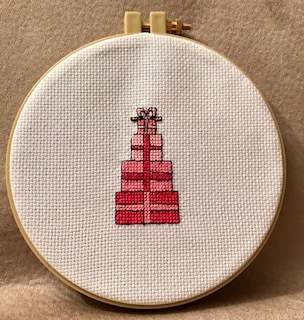 Cross stitch Pink pile of presents, gifts. Counted cross stitch PDF pattern. Instant download. The pattern comes as two PDF files (one colour, one black and white) that you will be able to download immediately after purchase. It includes a list of the floss colors you'll need plus the finished dimensions for common fabric choices.